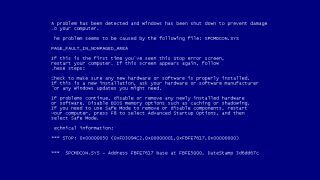 Who else could be seeing your blue screens? Windows' error-reporting system, which is often used by many at times of frustration with their computer, might be vulnerable to hacking and spying, according to a researcher. The system sends a wealth of data unencrypted and in the clear, information that hackers or security agencies can use to refine and pinpoint attacks. Documents released over the weekend by Der Spiegel also reveal that the NSA collects Windows crash reports from its wiretaps to target PCs. The information in a crash report "would definitely give an attacker a significant advantage. It would give them a blueprint of the [targeted] network," said Alex Watson, director of threat research at Websense, which on Sunday published preliminary findings of its Windows error-reporting investigation. Windows Error Reporting is installed and activated by default on all PCs running Windows XP, Vista, Windows 7, Windows 8 and Windows 8.1. Watson characterized the chore of turning the cryptic reports into easily-understandable terms as "trivial" for accomplished attackers. Websense have recommended that businesses and other organizations redirect the report traffic on their network to an internal server, where it can be encrypted before being forwarded to Microsoft. This is complicated, but avoids removing the feature completely. To turn it off entirely would throw away a diagnostic tool that could be useful to IT departments and engineers. A Microsoft spokesperson asked to comment on the reports said, "Microsoft does not provide any government with direct or unfettered access to our customer's data. We would have significant concerns if the allegations about government actions are true."